The European Union has described the Intermediate-Range Nuclear Forces (INF) Treaty as a cornerstone of European security and urged Russia and the United States to uphold it. But Stoltenberg did not encourage the U.S., the biggest and most influential member of NATO, to stay in the treaty. 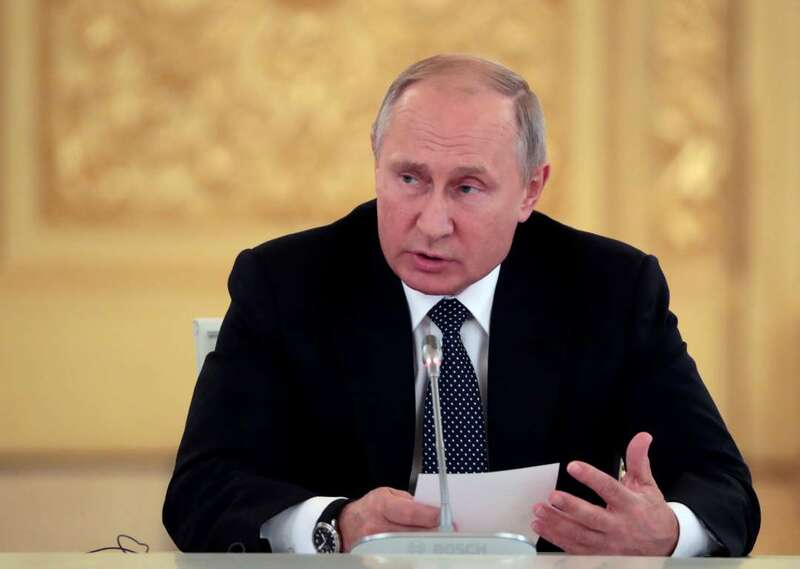 The Russian leader strongly rejected U.S. and NATO allegations that Moscow has violated the treaty. He charged it was the U.S. that violated pact with missile defense facilities in Romania that could be used to hold cruise missiles in violation of the INF. With tensions over the treaty's possible unraveling mounting, NATO on Thursday officially launches its Trident Juncture war games in Norway, its biggest maneuvers since the Cold War. Speaking on a trip to Belarus, Shoigu also warned that Poland's plan to permanently host a U.S. army division would affect regional stability and trigger a Russian response. He said Moscow would have to "take retaliatory measures to neutralize possible military threats." Experts say the Russian system would operate at lower altitudes, making it tough to detect and bring down. It could also reach targets across Europe and even the U.S. west coast if stationed in Siberia. "The INF is a landmark treaty, but the problem is that no treaty can be effective, can work, if it's only respected by one" side, Stoltenberg said, adding that the "U.S. is in full compliance." He said, based on U.S. intelligence and Russia's reluctance to discuss the missile system with NATO, "the most plausible explanation is that Russia is in violation of the treaty."